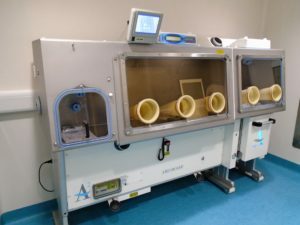 Amercare Ltd are market leaders in the design and manufacture of isolators for nuclear medicine and pharmaceutical applications. Their isolators are used across the world for a number of applications that are contributing to ground-breaking medical research and are involved in the production of vital drugs. Specialising in both Pharmacy and RadioPharmacy isolators, Amercare provide solutions for Technetium dispensing, PET dispensing, Blood Cell Labelling and the handling of volatile products. RadioPharmacy is a branch of pharmacy concerned with the manufacture of radioactive products for diagnosis and treatment. Many of the drugs handled in the isolators are designed to fight cancer cells and, as such, would be dangerous if they came into contact with a healthy individual. Therefore, the isolator’s role is paramount in the safe manufacture of such products. To ensure that the products are manufactured with the correct background air, isolators require effective, corrosion-resistant ventilation of the process area. Axair’s polypropylene fume extraction fans are used within the isolators to control working conditions within the chamber. The isolators are designed to not only protect the operatives carrying out the task, but to also protect the substances within the chamber. The inbound air is highly filtered to provide a clean atmosphere and minimise the risk of contamination of the medicine or matter being tested. The air environment is graded to EC GMP Grade A (class 100). 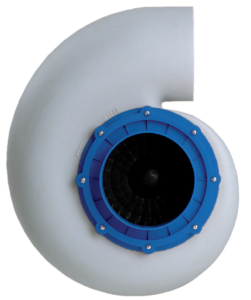 Amercare produce isolators which use either turbulent air flow or laminar air flow. Turbulent air flow creates swirls and eddies to ensure that clean air passes throughout the entire isolator system and barrier shields. Whereas, laminar air flow describes air moving at the same speed in the same direction and is used in applications where there is a concern about process generated particles. To learn more about isolators, visit Amercare’s website. See our corrosive fume extraction range or contact our team on 01782 349 430 or sales@axair-fans.co.uk. This entry was posted on Tuesday, November 20th, 2018 at 8:32 am and is filed under Applications. You can follow any responses to this entry through the RSS 2.0 feed. Both comments and pings are currently closed.